This entry was posted in Holiday Season, Holidays, Katie Austin, Thanksgiving and tagged Brady Evans Venables, Columbia, columbia sc, every woman blog, Fall, Famously Hot, Holiday Season, Holidays, hospital blog, Lexington, lexington medical center., lexington sc, Lexington Women, lmc, LMC every woman blogger, Midlands, Midlands Women, South Carolina, South Carolina Women, thanks, Thanksgiving, Women, women's blog, women's hospital blog by Kate Gillmer. Bookmark the permalink. Katie – thank you for reminding us all about the things we too often take for granted every single day. 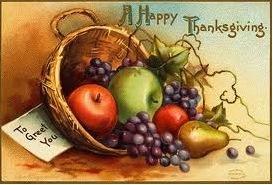 Many wishes to you and all of our EveryWoman blog sisters for a wonderful Thanksgiving!